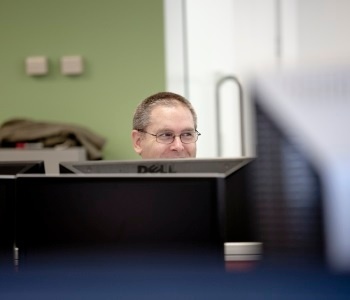 See how we work hard to make a very real and positive difference for our customers. What we did: App developed using Apache Cordova to work as part of an outdoor teambuilding organisation's website, including support for offline use and ensuring all security concerns addressed. What we did: Providing software development coaching for an Equinox IT delivery team undertaking a central government agency business system development project. Activities included facilitating retrospectives, generating and analysing metrics for management reporting and continuous improvement, and implementing crisis response process changes. What we did: Upgraded a web application to take data from a third party source and display it dynamically on a map. 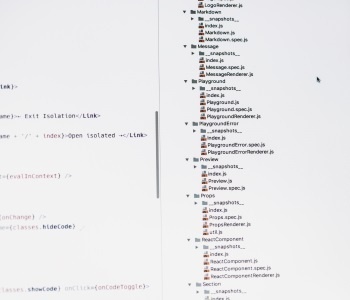 The activities included defining requirements, upgrading the technology platform, developing the interface, implementing the map changes, enhancing the user interface experience, testing (including cross browser testing), and documenting and deploying the changes into production. Deliverables: Documented requirements, upgraded web content management system, external interface, and upgraded and tested web application. 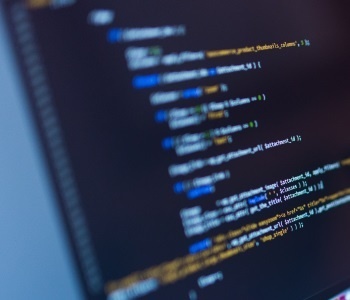 What we did: Development work on a manufacturing organisation's key product software platform was behind schedule and unlikely to be finished for the product release. Equinox IT introduced an Agile approach and took over the development effort to deliver the software platform required for the product. Deliverables: Software platform for the product was delivered on time and on budget. 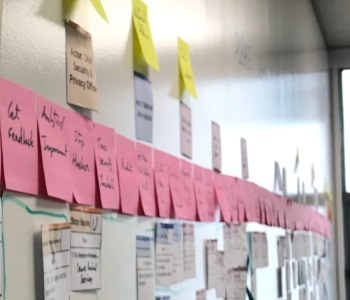 What we did: Equinox IT assessed the current state of Agile adoption for a central government agency and provided the CIO and management team with the most valuable next steps for ongoing adoption. Activities included interviewing senior managers, delivery team members and business units to assess current state; assessing people and processes; identifying impediments and barriers to meeting the goals of the Agile adoption. Deliverables: Problem affinity diagram, next steps impact map, Agile process adoption presentation with recommendations and next steps. What we did: Equinox IT helped a central government agency to grow the capability of their support and development teams to take on larger projects. Activities included introducing Kanban as a continuous improvement mechanism; coaching team members on development practices, continuous integration and automated testing; updating processes to enable frequent Agile delivery of software releases; coaching business representatives on how to engage with an Agile delivery function. What we did: Equinox IT helped a central government agency to introduce delivery processes improvements for a major programme of work with the purpose of reducing risk and increasing likelihood of success. The scope included software delivery teams, data warehousing and business intelligence. What we did: Equinox IT assessed the current state of a central government agency's development team and provided recommendations for process improvement. Activities included interviewing team members, reviewing current management and development principles, and making recommendations to help achieve the stated objectives. Deliverables: Development process assessment report and presentation. What we did: Equinox IT used Microsoft Azure and Visual Studio Team Services (VSTS) to demonstrate the benefits of DevOps to a central government agency. Azure and VSTS were used to build a custom deployment pipeline, using an existing client application as an exemplar. The end goal was to demonstrate the working pipeline to the entire IT department to acquire funding to continue building the pipeline. Activities included managing requirements from multiple client stakeholders; setting up VSTS; creating and configuring the VSTS build definition and release definition; configuring Azure virtual machines; building a custom report generation module which integrated with VSTS and summarised pass / fail details; configuring the build definition to run static code analysis, code coverage, unit tests, and functional tests (i.e. Selenium tests); and migrating one of the client on-premise web application to use Microsoft Platform as a Service (PaaS). Deliverables: Existing client web application upgraded to use Microsoft Platform as a Service (PaaS), presentation to the client’s IT management team demonstrating the value of DevOps, re-useable deployment pipeline template that could be used for all new projects that the client starts, and documentation on how to setup a new project using the deployment pipeline. What we did: Equinox IT provided coaching and mentoring services to help a local government organisation's applications group and digital team adopt and apply DevOps practices. What we did: Equinox IT assessed the capability of the in-house DevOps function for a central government agency ahead of a significant upcoming programme of work. 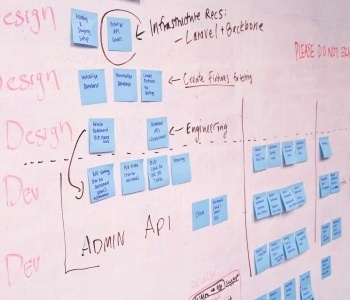 The activities included interviewing people across IT and the wider organisation to understand the current state, identifying constraints to the programme delivery using the existing DevOps function, and making recommendations for improvements and next steps. Deliverables: DevOps assurance report including organisational context, value stream map and a problem map. What we did: Equinox IT worked with an internet service provider, providing assessment, coaching and training services to improve the IT team's use of Agile, DevOps and management practices and to engage better with the rest of the organisation. What we did: Equinox IT worked with an internet product company, providing assessment, coaching and training services to improve the infrastructure team's use of Agile, DevOps and management practices. 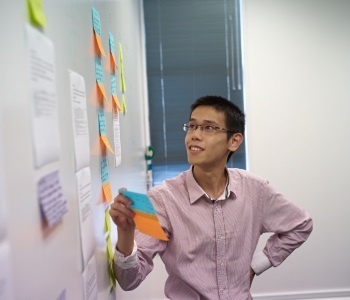 What we did: Equinox IT introduced Scrum principles and practices to a newly formed central government business intelligence product team. The work included leading and coaching the team in the pragmatic application of Scrum, with the end goal of the team becoming self-sufficient and self-managing with the Scrum approach. 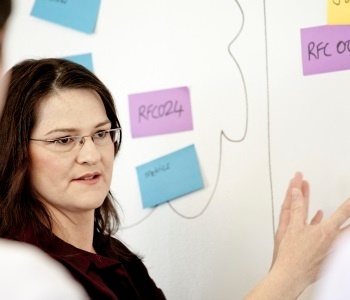 Activities included acting as ScrumMaster; facilitating workshops; establishing ways of visualising work; running practices such as daily stand-ups, feature breakdown, backlog grooming, release planning, product roadmaps and user story mapping; and coaching team members. What we did: Equinox IT provided advice to a utilities organisation to help them improve their IS project lifecycle and accelerate the process of creating business cases and obtaining approvals. Activities included leading workshops, reviewing current practices, and identifying process improvements. The work introduced the theme of 'just enough documentation to address the problem, priority, solution, cost, risk and delivery'. Deliverables: Project lifecycle report, implementation recommendations, 'defining business benefits' and 'solution architecture overview' training. What we did: Provision of advice on the adoption of Scrum in the context of a large project, which was started using a waterfall methodology. Specifically in the areas of project management, estimation, reporting, and requirements management. Deliverables: Workshops, new Scrum approaches, updated requirements management plan, and updated change management processes. "Equinox IT were fantastic in helping us 'see the wood for the trees' which assisted greatly with setting our technology strategy." "The Certified Scrum Product Owner course far-exceeded my expectations in terms of content, style of delivery, and practical application. It was certainly most worthwhile and very enjoyable attending. Rowan is an excellent course presenter; I will highly recommend this course to anyone enquiring about it." 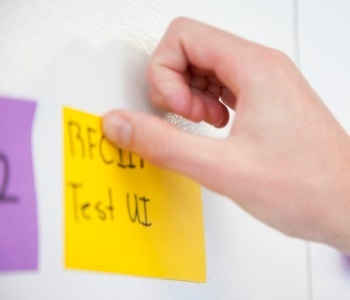 "Performance testing gave me confidence to release my application. Equinox IT kept the work moving and clearly communicated what they needed and issues they encountered." 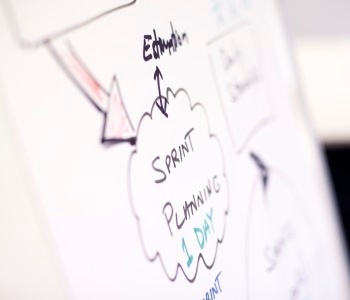 "The instructor's personal Scrum experience and examples brought the material to life. That was 2 days of very high value learning!" "They're well organised and helpful"
"Have customer's interest in mind, and very skilled staff"